The Wild, Wild West full of Cowboys, Cowgirls, Gamblers, Mexicans, Indians & Saloon Girls. 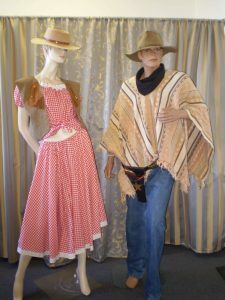 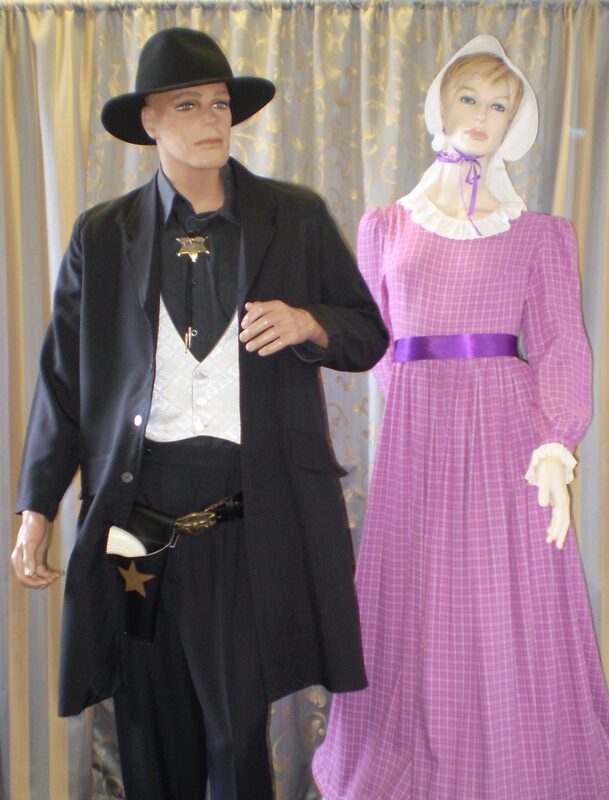 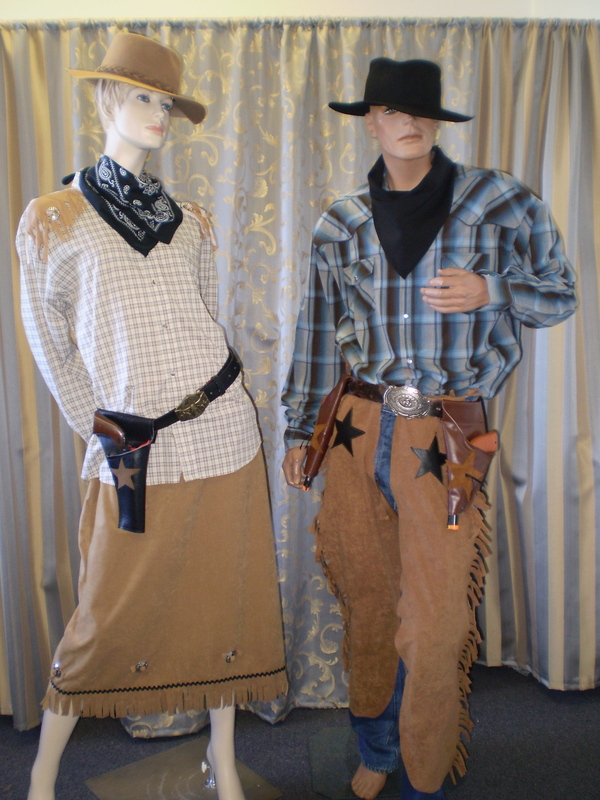 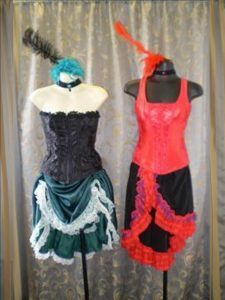 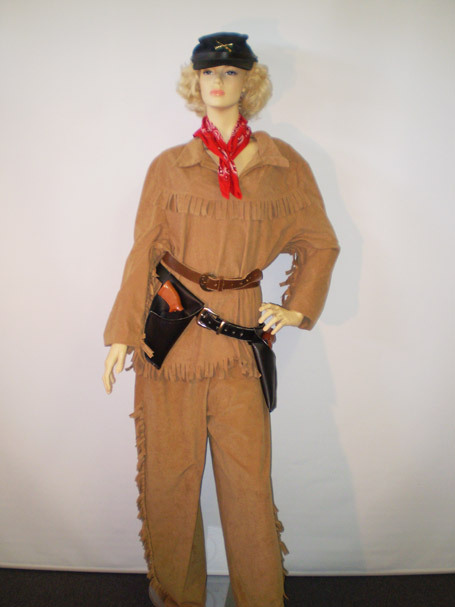 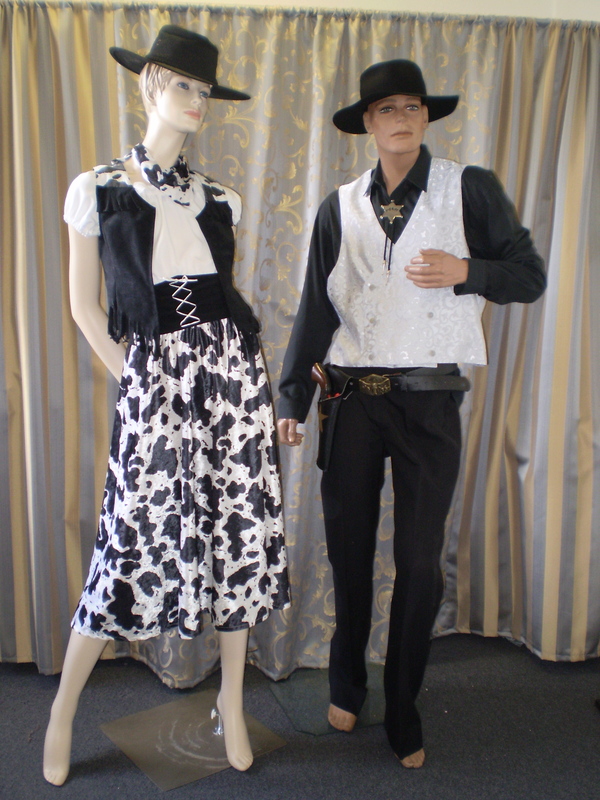 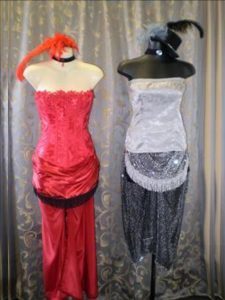 Take a look through this gallery of our wild west costumes available for hire. 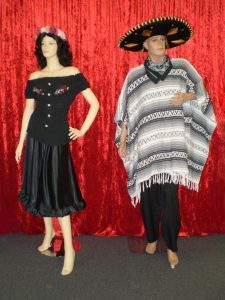 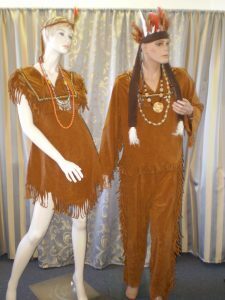 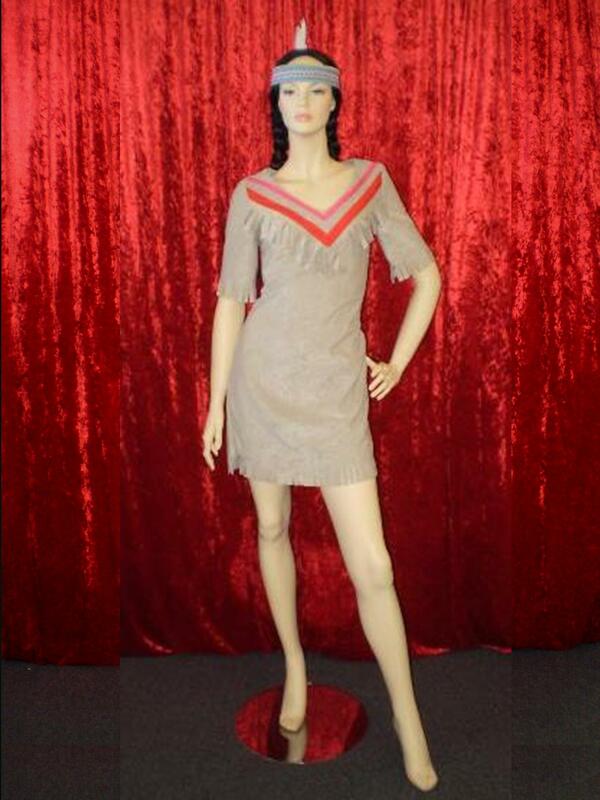 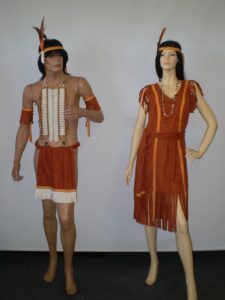 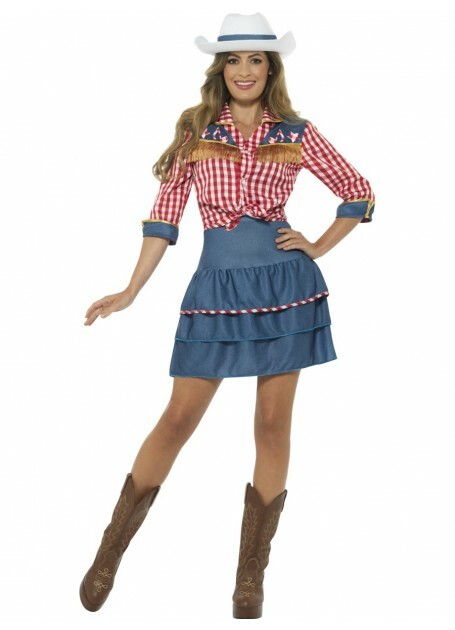 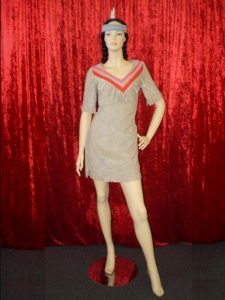 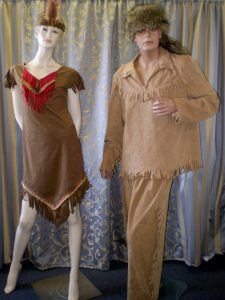 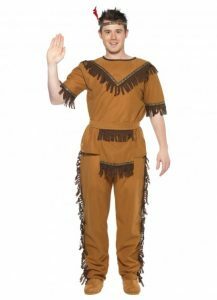 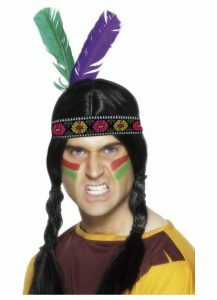 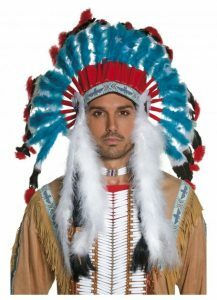 The possibilities are endless, if you need a cowgirl costume, cowboy costume, western gambler, Indian brave, Indian squaw, Indian chief, Mexican bandit, Sheriff or Saloon bar girl we can help. 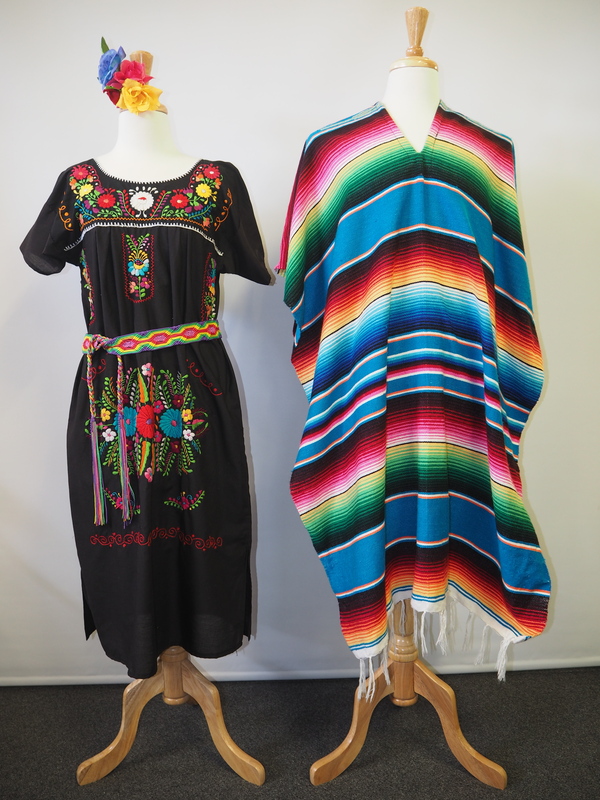 Not all combinations are photographed so a visit to our store is well worth it. 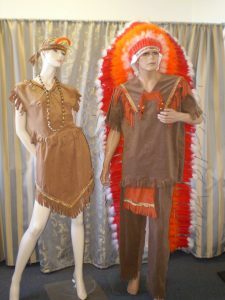 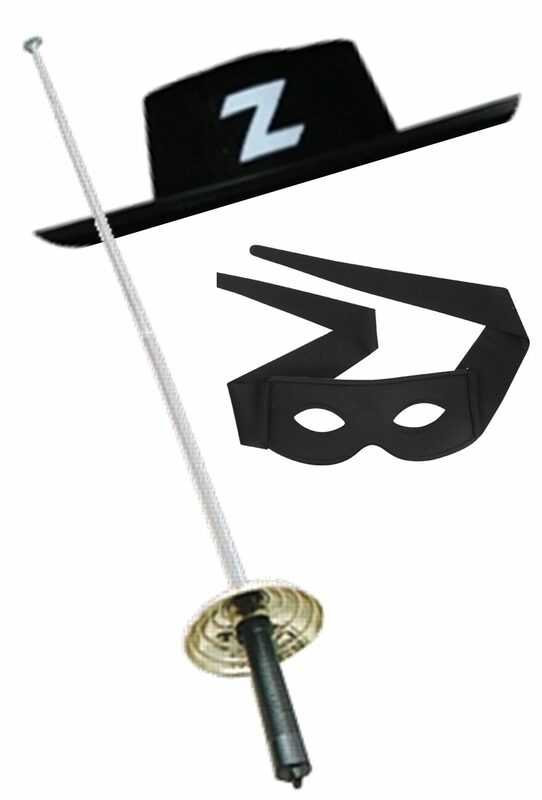 Items may be hired individually or as part of a full costume. Prices vary depending on what you choose. 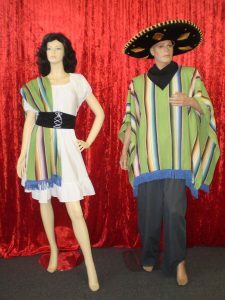 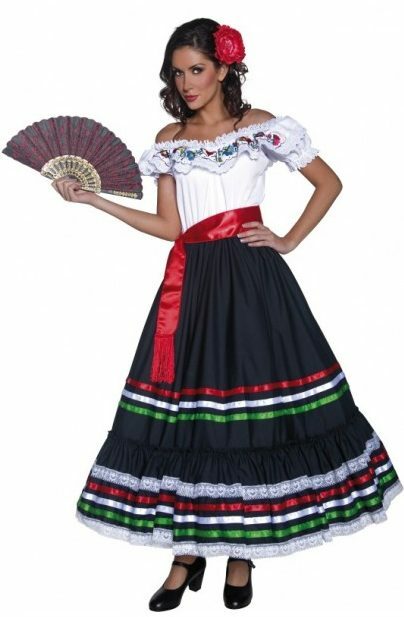 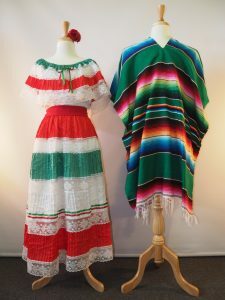 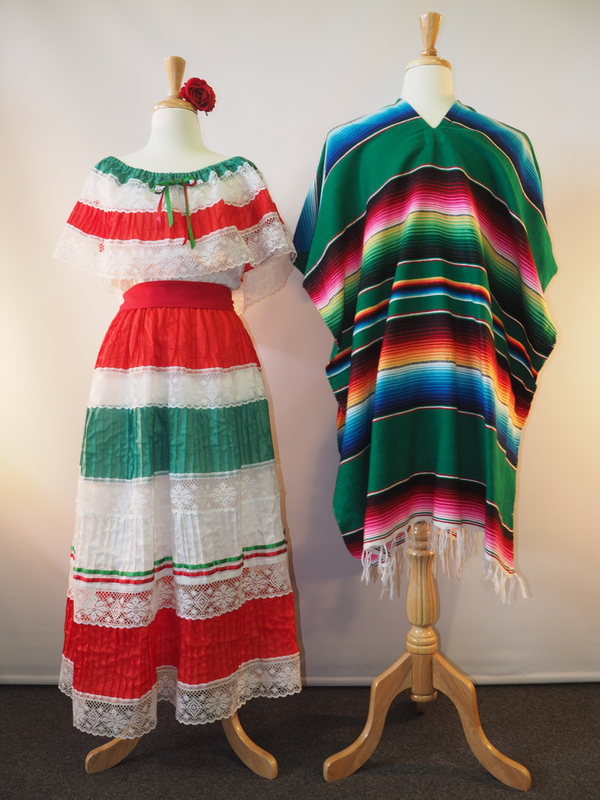 Click here to take a look at more Mexican costumes. 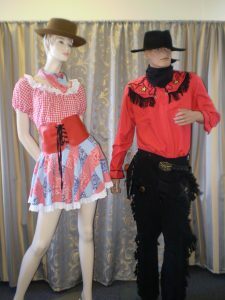 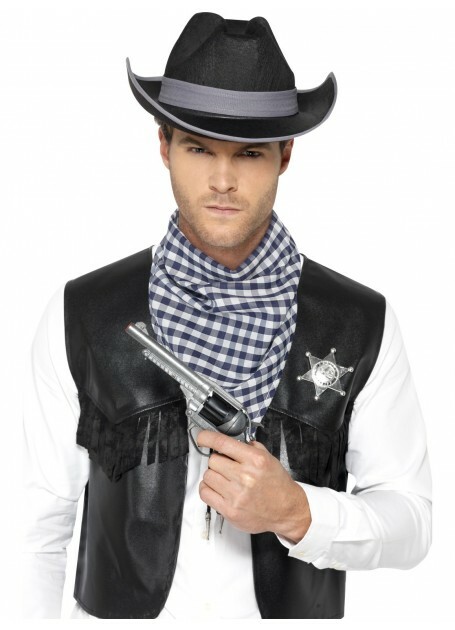 Prefer to buy you wild west costumes? Part of our selection is shown below, our prices compare well with online retailers and you get to try things on. 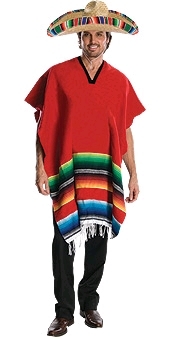 Just one of many ponchos we have for sale.